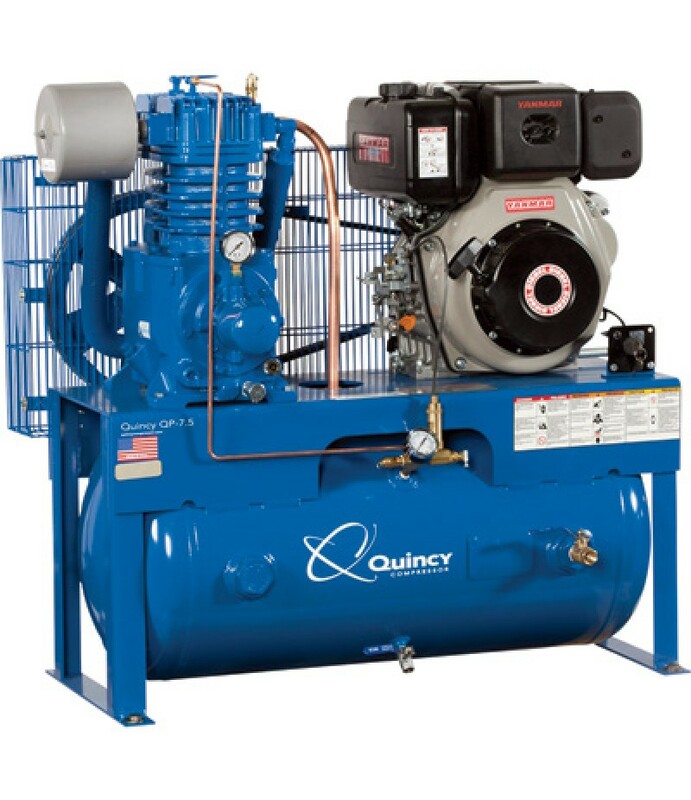 Product SummaryQuincy QP heavy-duty pressure lubricated reciprocating air compressors are designed for tougher applications where traditional splash lubricated compressors just are not enough. They are built for efficiency and low.. 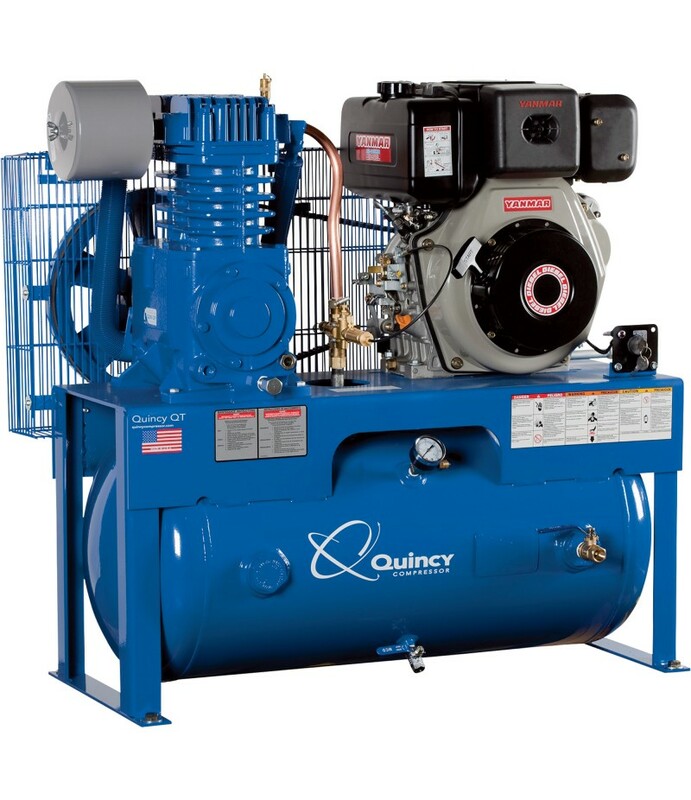 Product SummaryQuincy Air Master reciprocating air compressors are designed to be a compressor for life. They are built for efficiency and lower operating costs, producing more compressed air at a lower horsepower. They run at a s..
Sullair 185 Tier 4 Final Portable Air Compressor - 185 CFM, 100 PSI, 49 HP Diesel. 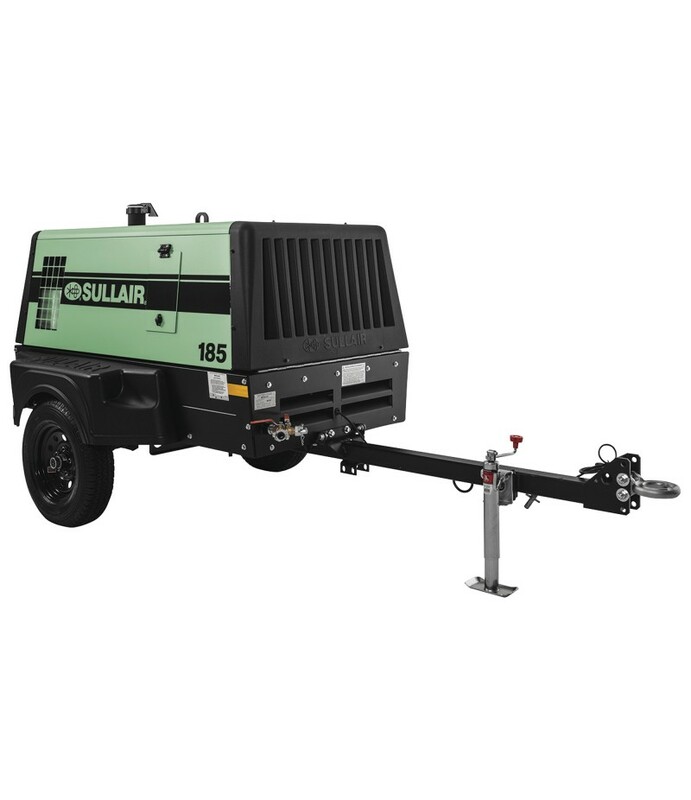 The Sullair 185 Tier 4 Final Portable Air Compressor is the workhorse of the Sullair mobile fleet with a rotary screw air end with integrated leak-free design, a turbocharged Kubota diesel engine, compact design, easy service and ..